Automatic Antarctic Remote Control Telescopes, Automatic Human Injectable Solution Handling, Automatic Gas Filling Systems, Airport Automatic Explosives Detection and Tracking, just to name a few. 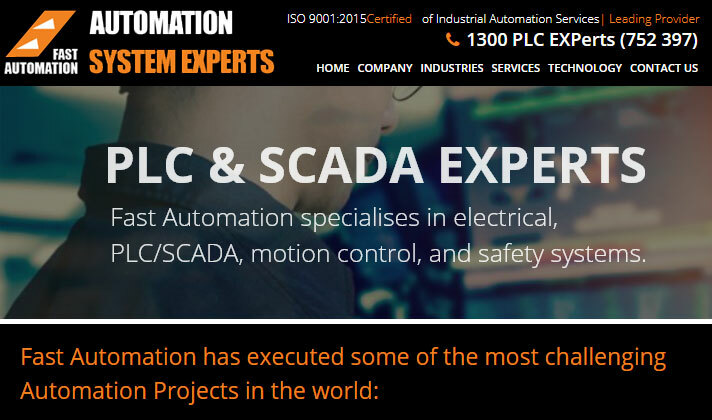 Fast Automation also performs all aspects of bespoke software lifecycle management and consulting. 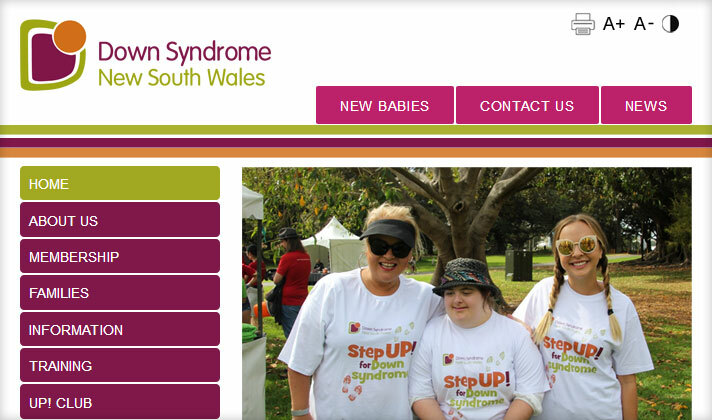 DS NSW is an independent, not-for-profit organisation that was established in 1980 by parents of children with Down syndrome. Today the DS NSW board and staff is a team of parents and professionals who share lived experiences, skills and abilities to provide the best opportunities for our members to achieve their full potential. 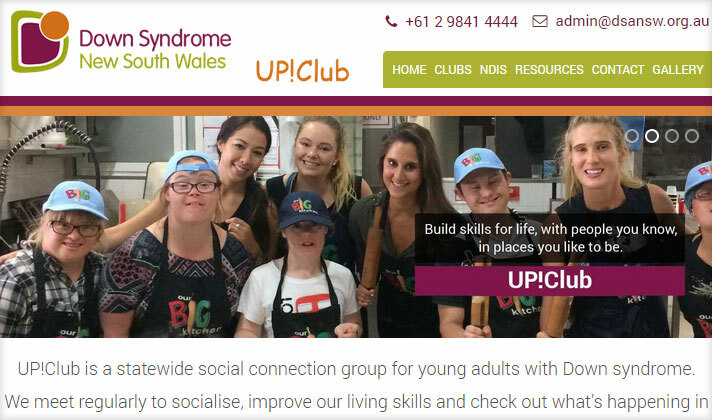 UP!Club is a statewide social connection group for young adults with Down syndrome. We meet regularly to socialise, improve our living skills and check out what’s happening in the community. Come and join us! 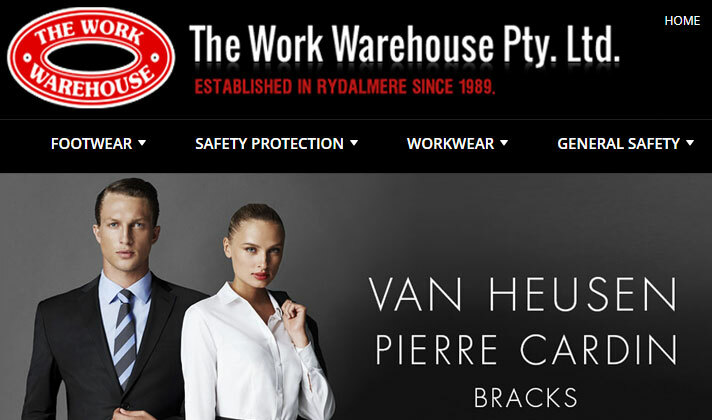 The Work Warehouse has been distributing workwear for men, Safety Footwear, Apparel and PPE since 1989, including brands such as: Steel Blue, Bisley, Mongrel, Fashion Biz, Redback, DNC, Blundstone, Yakka, King Gee, Oliver, Pro Choice, Puma, MSA, and many more in Sydney and Australia wide. 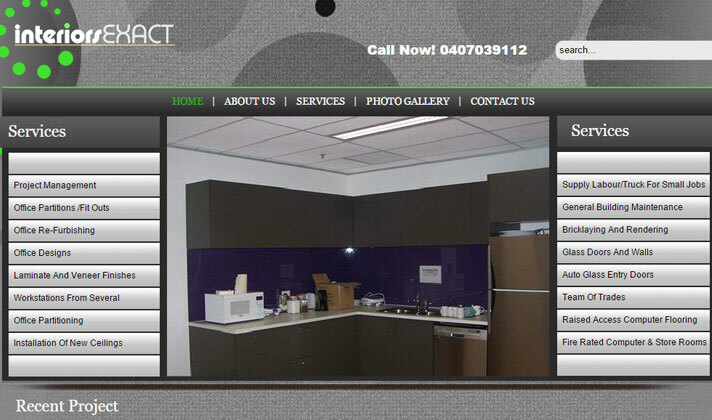 Kitchen renovations Sydney are a preferred choice of home makers. 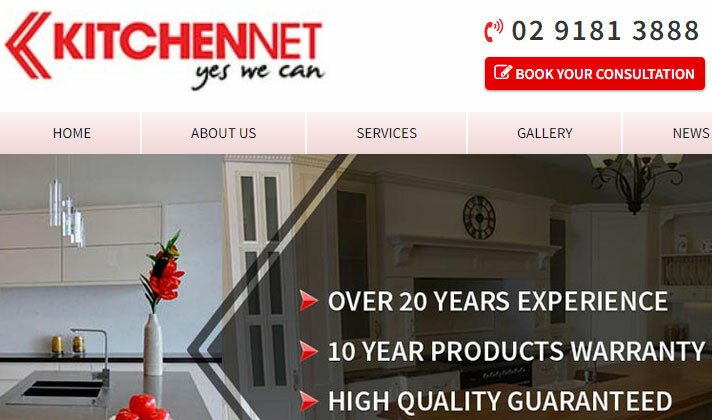 If you are looking for a whole range of designs that can change the appearance of your kitchen KitchenNet is the best choice. 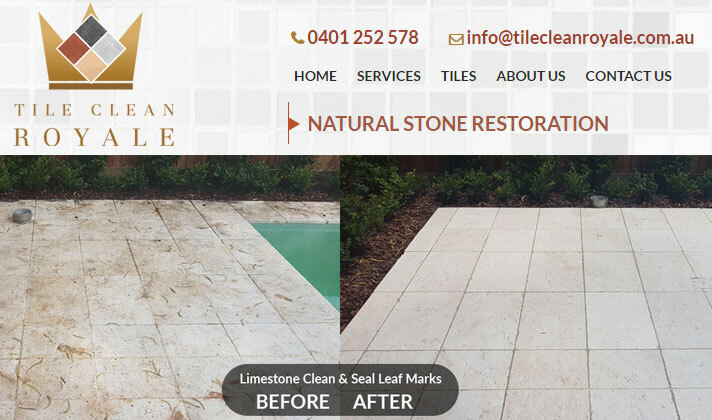 We’re tile specialists who can give your home or commercial property a facelift by cleaning, sealing, polishing, grouting and restoring your tiles. 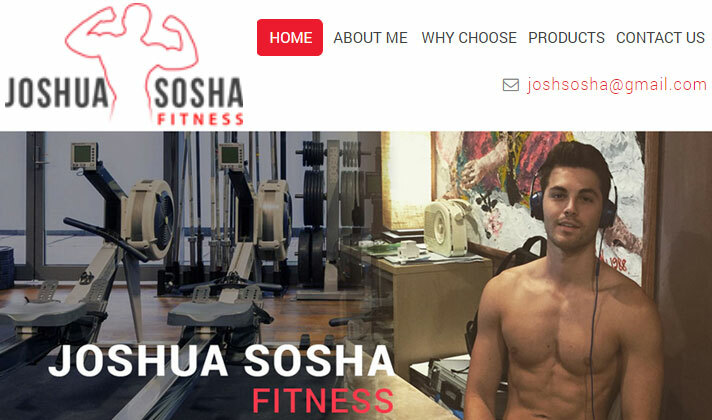 My name is Joshua Sosha and I love fitness and being muscular. I love the feeling I get when I work out, the pump from lifting weights. Each wedding has its own story to tell. Stories filled with hope, love, anger, anguish and above all an overwhelming desire to be happy. 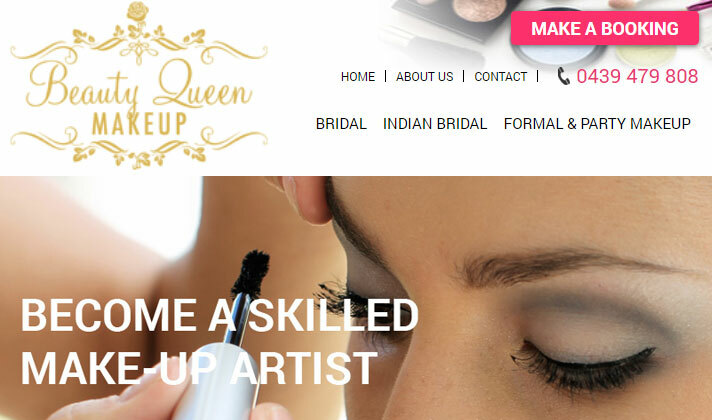 The best make up which you can wear for your wedding is your smile. 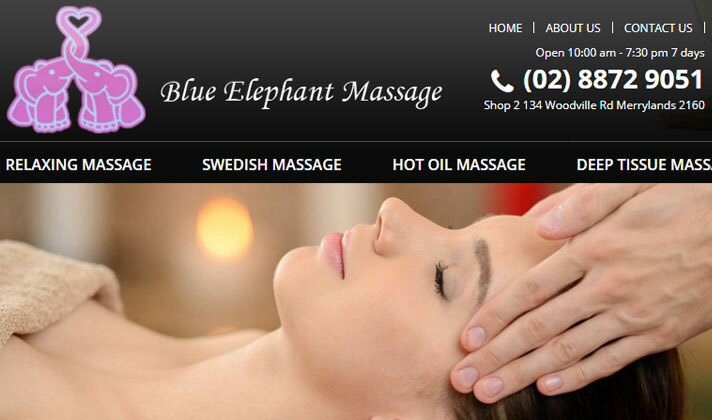 Welcome to ladies and gentlemen to our Blue Elephant Massage centre in Merrylands a good relaxation destination.Our aim is to make you free from daily routine work stress and which helps in getting mind and body ia relaxed feeling and revitalises us. Blue Elephant Massage is ATMC qualified and our professional staffs are ready to assist you. 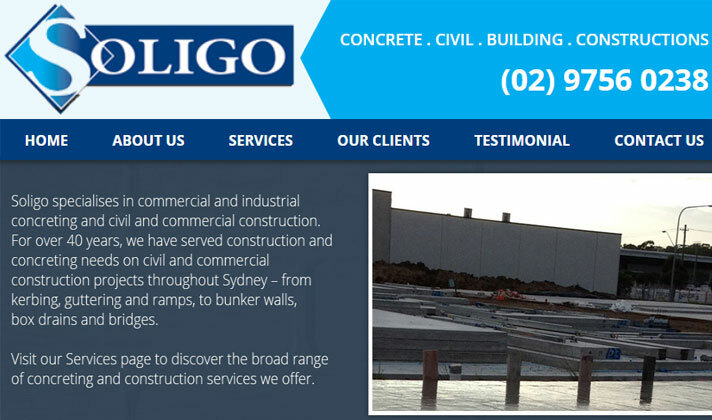 Established over 40 years, Soligo Concrete Constructions Pty Limited was first operated by brothers, Marcello and Guido Soligo. We also know you want to be taken seriously. 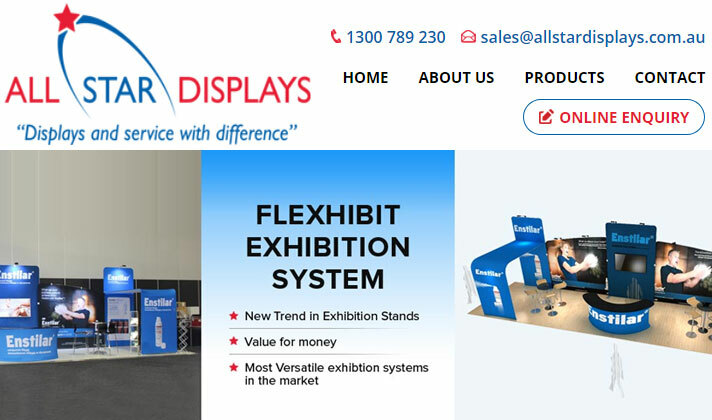 So we have a range of products and services designed to help you set up quickly, easily and at the right price, while still projecting a professional image. 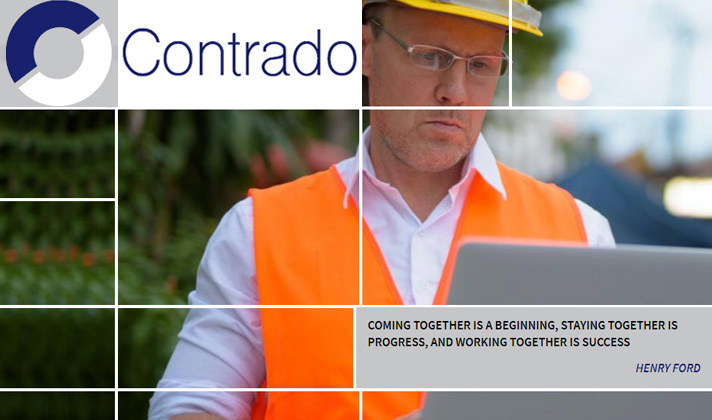 Contrado understand the complex nature of urban infrastructure. We work with clients to facilitate integrated, sustainable solutions connecting transport, infrastructure, public realm, property and key third party stakeholders. 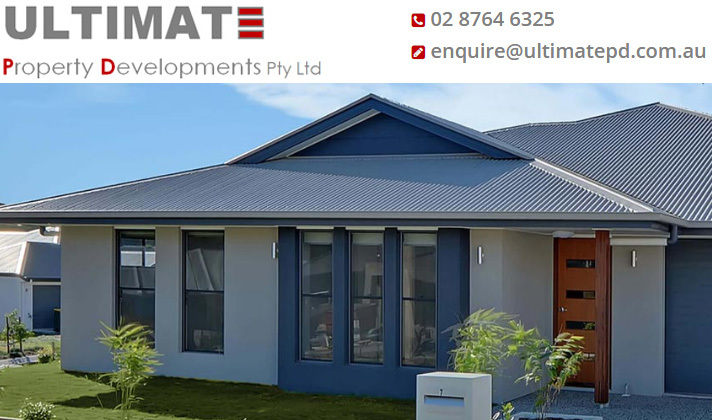 Ultimate Property Developments is a Sydney based building and construction company specialising in the building of new single and double storey homes, duplexes and multi-dwelling complexes. Welcome to the Baruni Collection, created by Fadwa Baruni, whose influences are drawn from the structured world of engineering, her professional career in Europe and her North African heritage. 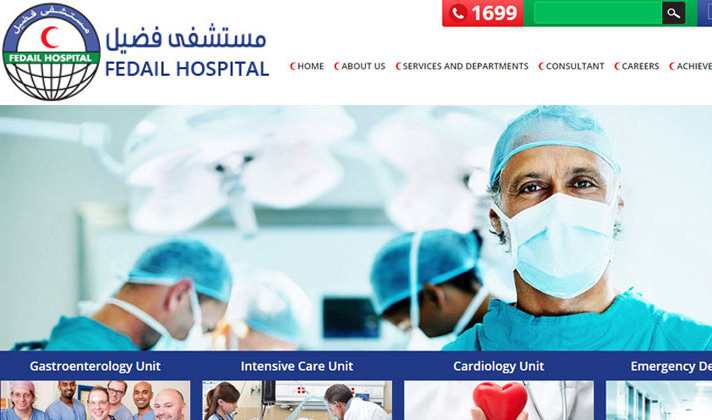 An ambitious UAE national, who has extensive experience in having worked with various Govt. entities. TSC specializes in business consulting and outsourcing solutions. 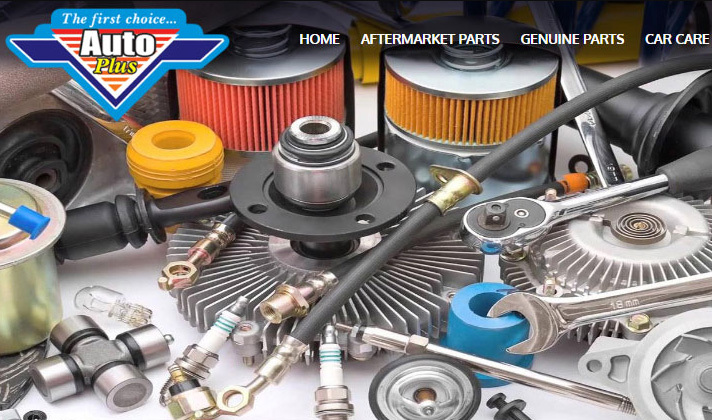 Auto Plus is one of the most notable names amongst the distinguished dealers and suppliers of original car parts in Dubai. Based in the flourishing city of Dubai, Auto Plus provides its services to a diverse clientele spread all over the UAE, Middle East, and Africa. 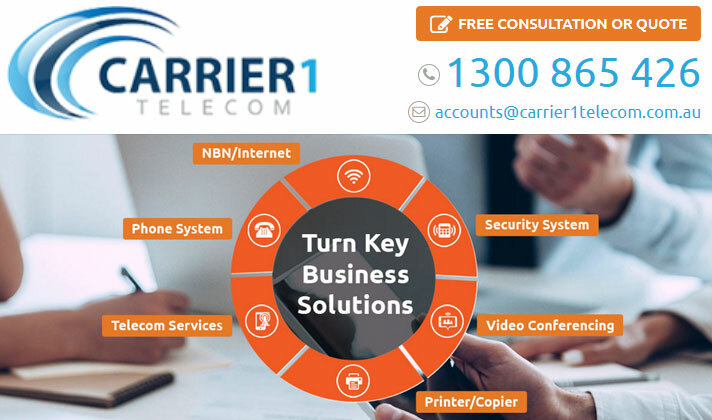 We are passionate about sustaining commercially viable business relationships that are built on trust and reliability. 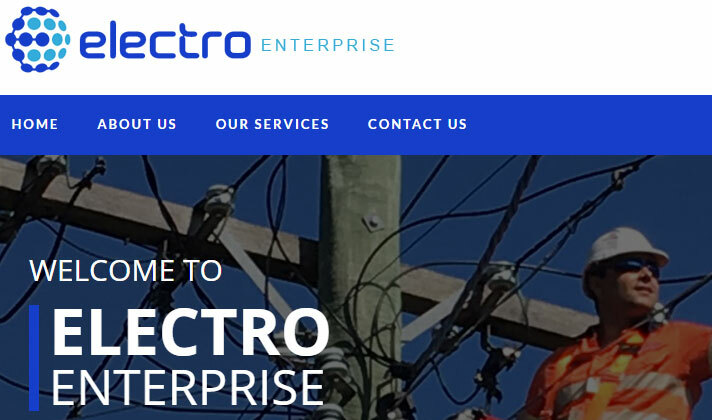 We engage in innovative, ethical business practice and provide our clients and partners with value for money. 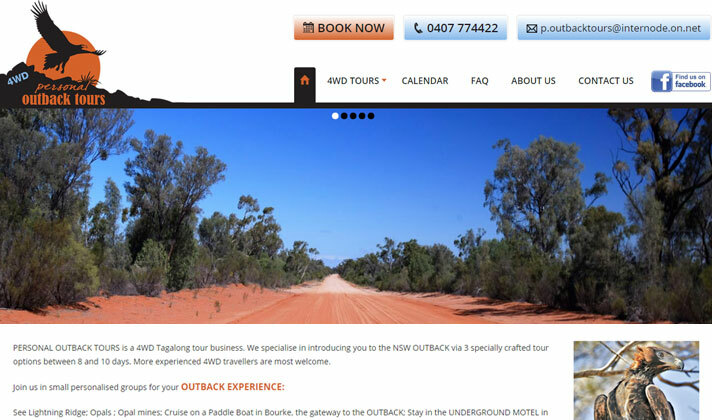 PERSONAL OUTBACK TOURS is a 4WD Tagalong tour business. We specialise in introducing you to the NSW OUTBACK via 3 specially crafted tour options between 8 and 10 days. 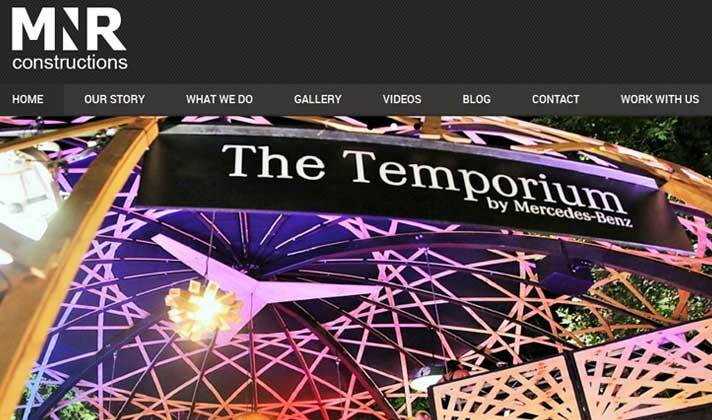 An independent full service boutique agency offering high levels of personalised service with as hands-on seniors as your thought partners. 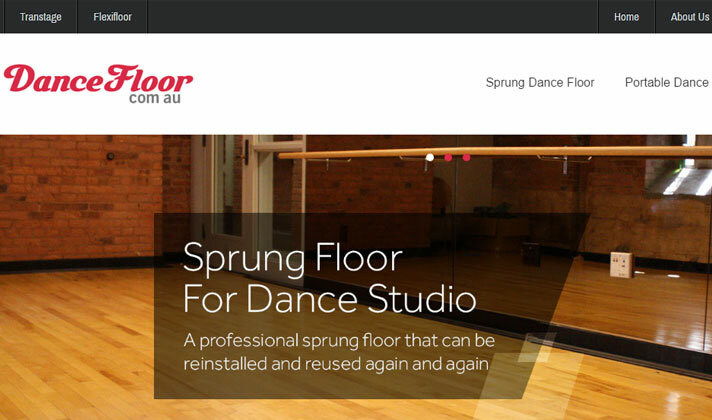 Dance Floor (by Transtage) is a dynamic manufacturer and supplier of Modular Sprung Dance Floor, Portable Dance Floor, Sport Floor System & Portable Staging System servicing a myriad of clients around Australia and beyond. 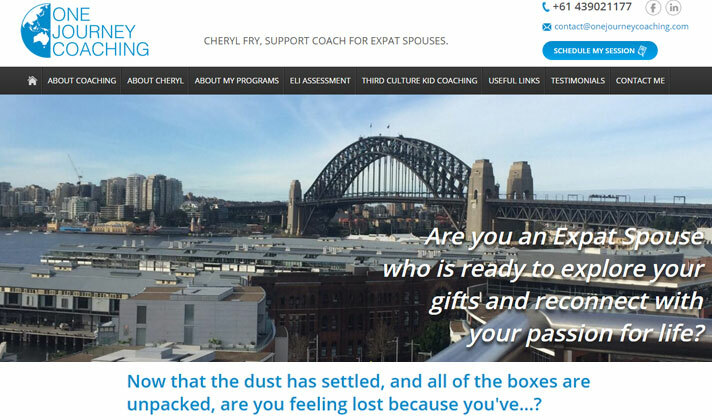 Now that the dust has settled, and all of the boxes are unpacked, are you feeling lost because you've...? 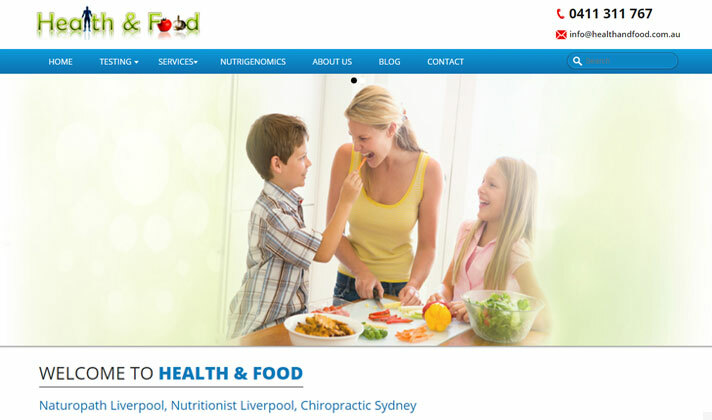 Hi my name is Tony Jaafar, I am a Naturopath specialized in Diet, Anti-aging programs and most diseases. I grew up loving to read, I strived to understand everything about human health and loved helping People. A place where you can relax and rejuvenate your mind and body, from an organic body product for our treatment to the aromatic scent and the warm fluffy towels. 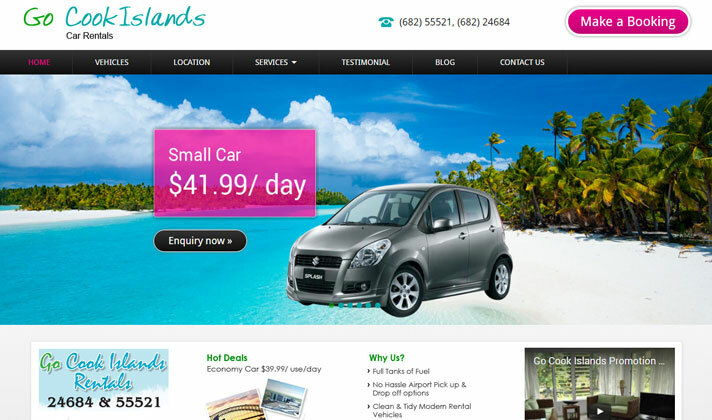 Rarotonga’s most trusted car Rental Company providing our customers exceptional service, modern and tidy rental cars with simply the best prices on the Islands. 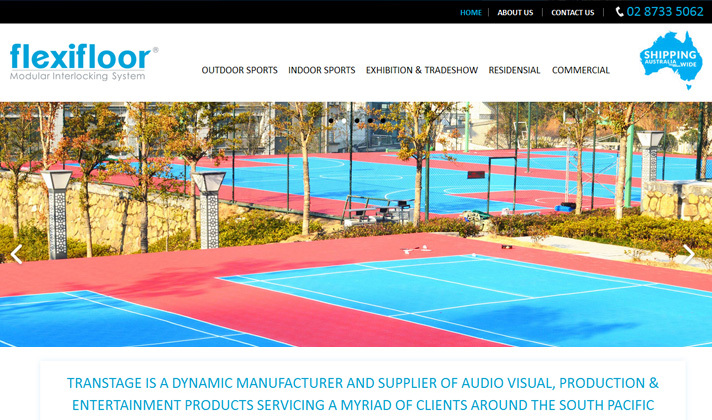 Transtage is a dynamic manufacturer and supplier of Audio Visual, Production & Entertainment products servicing a myriad of clients around the South Pacific and beyond. 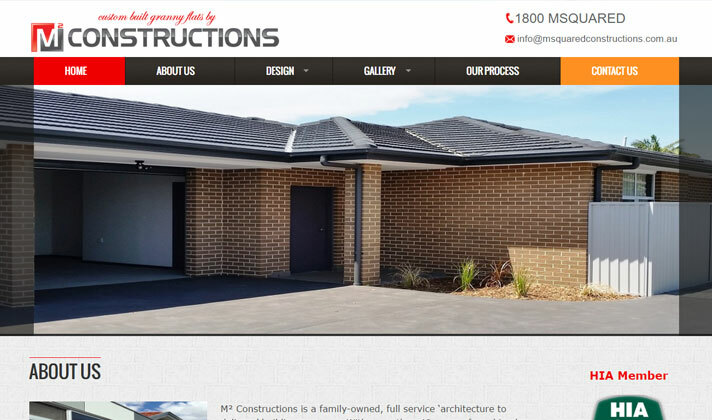 M² Constructions is a family-owned, full service ‘architecture to delivery’ building company. 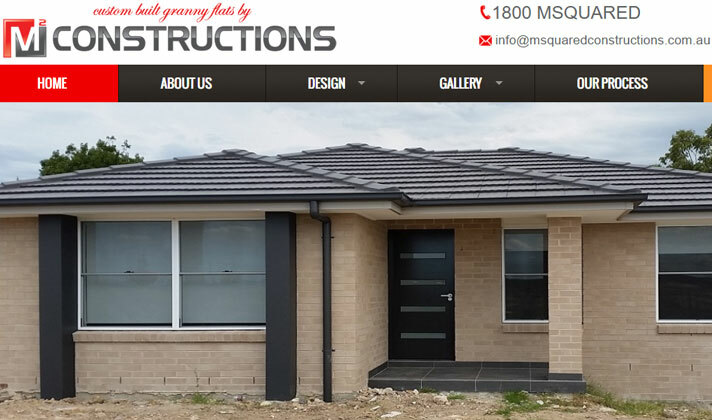 With more than 40-years of combined experience in high-end construction projects in both commercial and residential, we are the professionals with whom to entrust your granny flat project. 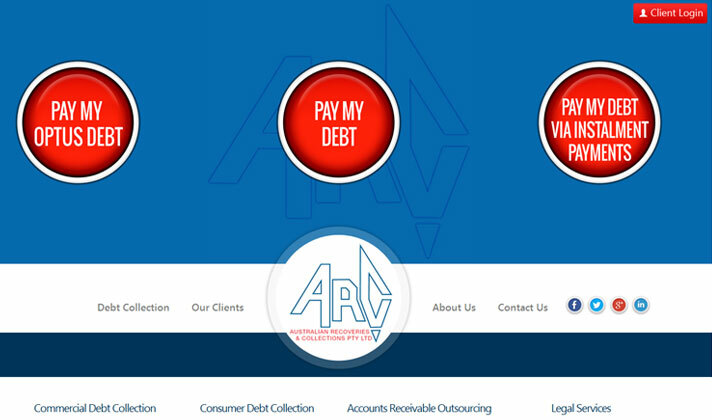 ARC is a collections agency that was built out of the desire of its founders to work in a collections environment where delivering “Industry Leading Recovery Rates” and “Best in Industry Customer Service” are not mutually exclusive but are in fact the reason we exist as an agency and are the values by which we operate. 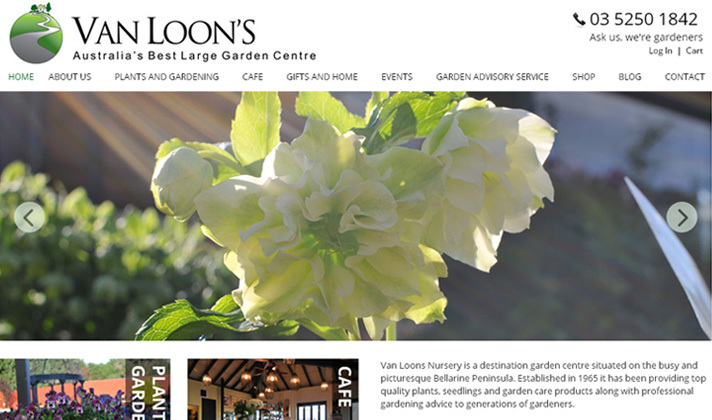 Van Loons Nursery is a destination garden centre situated on the busy and picturesque Bellarine Peninsula. 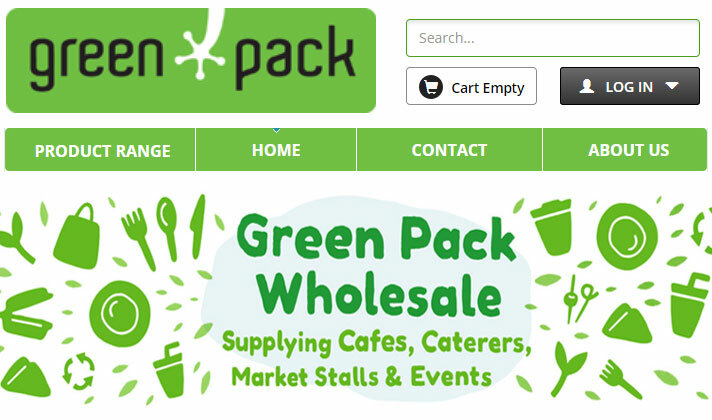 Established in 1965 it has been providing top quality plants, seedlings and garden care products along with professional gardening advice to generations of gardeners. Go Cook Islands is a local business with real roots in Rarotonga. 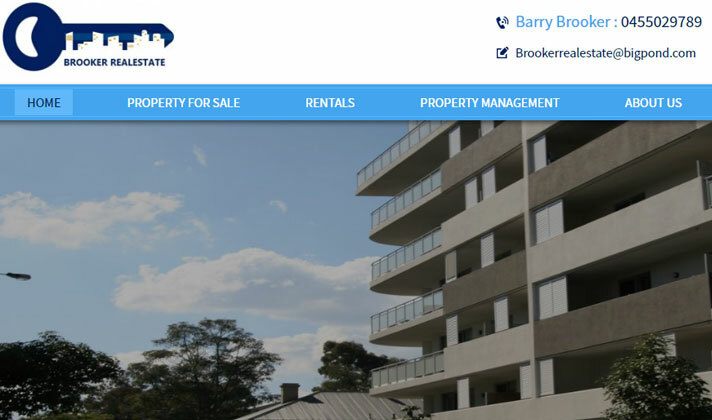 We have strong relationships with the properties listed on the website and will continue to grow our products even further in the future. When making a booking with Go Cook Islands you can be sure you are dealing with a real person living in Rarotonga and at the best price. Check with us about any current specials. 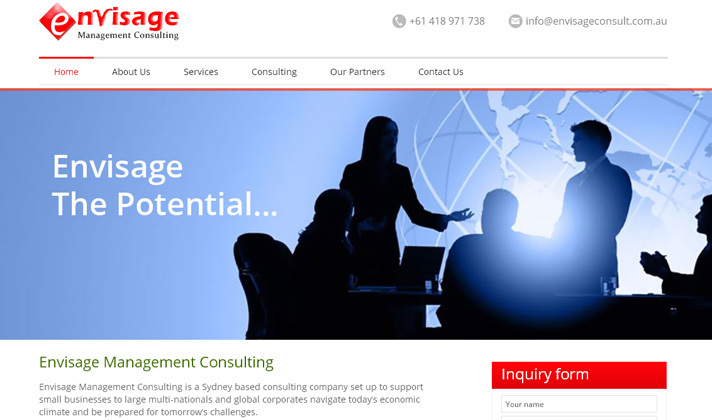 Envisage Management Consulting is a Sydney based consulting company set up to support small businesses to large multi-nationals and global corporates navigate today’s economic climate and be prepared for tomorrow’s challenges. The way in which people work is fast evolving. The days where people work a 9 – 5 day in the office are disappearing. Instead, the point of separation between people’s personal and work life is not so clear anymore. 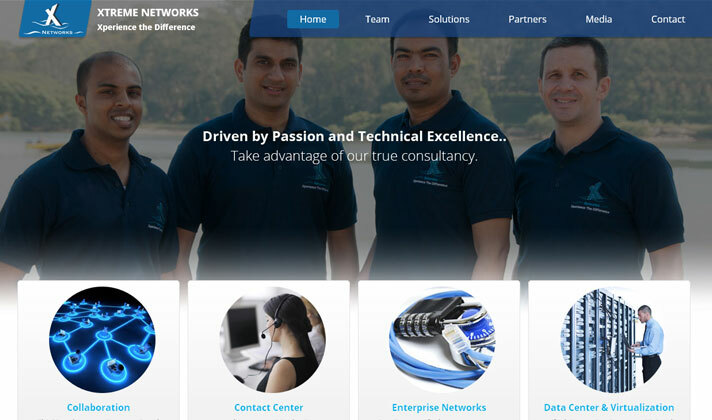 Advance Computers is ready to assist home users and businesses with a wide range of IT services. 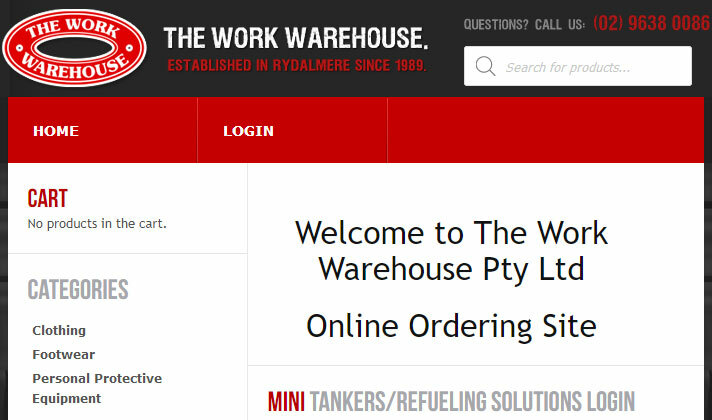 We have assisted a number of individuals and businesses across New South Wales. 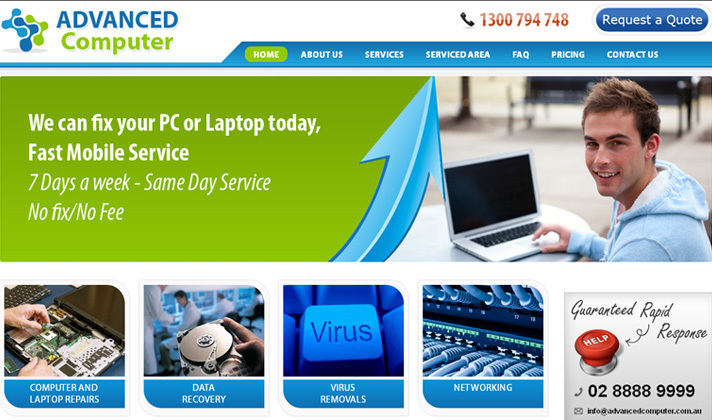 Whether you need computer or laptop repairs, upgrades, virus removal, data recovery, Networking services or need a brand new computer custom built- you need look no further. 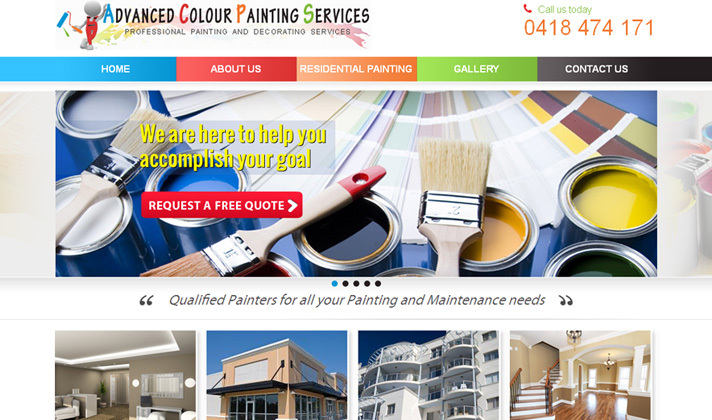 Advanced Colour Painting Services is a Sydney based business providing a reliable and professional painting and decorating service. We have a team of highly experienced painters. We are dedicated to provide quality workmanship that is guaranteed and our company is fully insured. 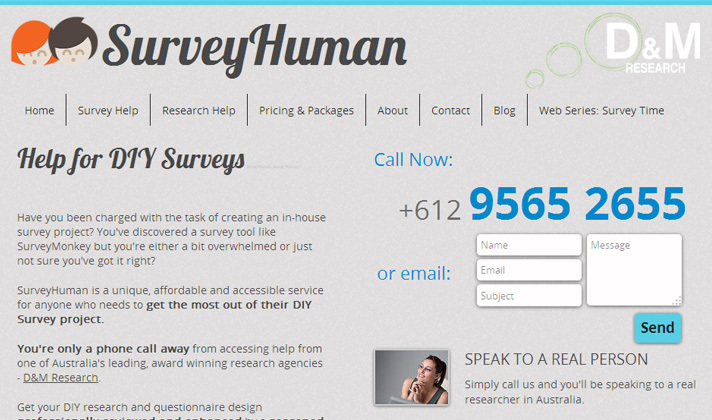 Have you been charged with the task of creating an in-house survey project? 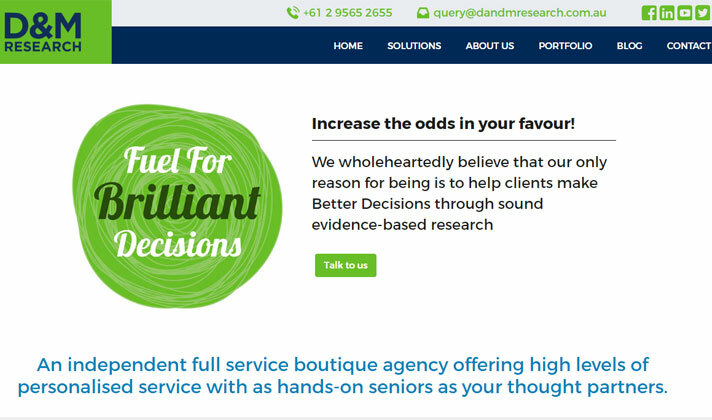 You've discovered a survey tool like SurveyMonkey but you're either a bit overwhelmed or just not sure you've got it right? 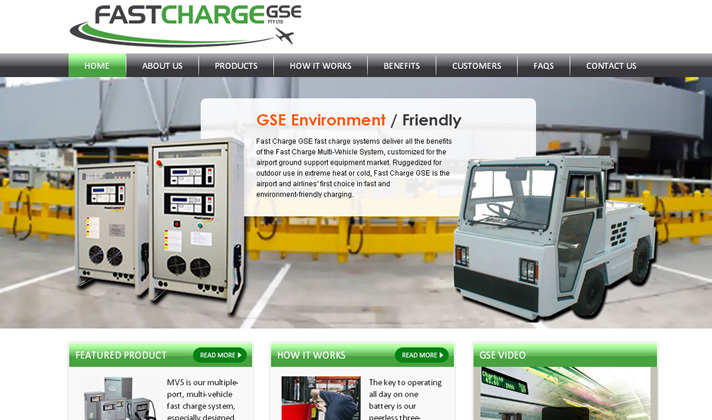 Fast Charge Australia Pty. 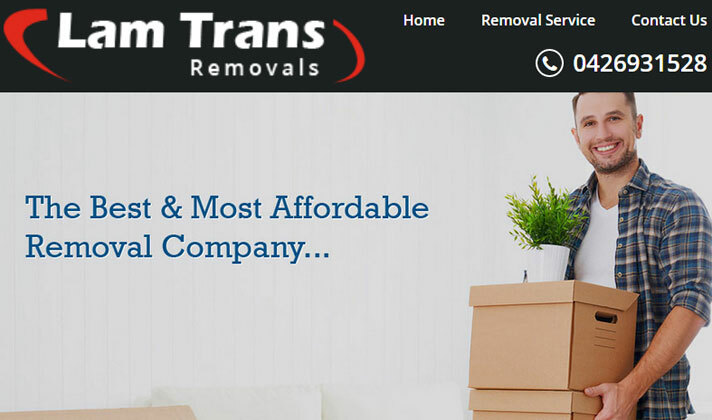 Ltd. is an Australia based company licensed for distributing and servicing PosiCharge throughout New Zealand and Australia. 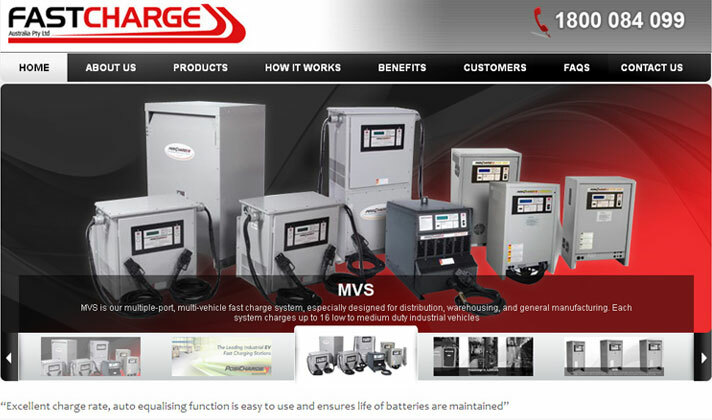 If you need to change batteries frequently in order to meet your 2-3 shift operation requirements, then Fast Charge can help your trucks run all day without any battery changing. A majority of home owners still prefer having a wooden window in their house. But due to exposure to harsh weather conditions, rot, termites and other such factors, wooden windows soon become an eyesore. 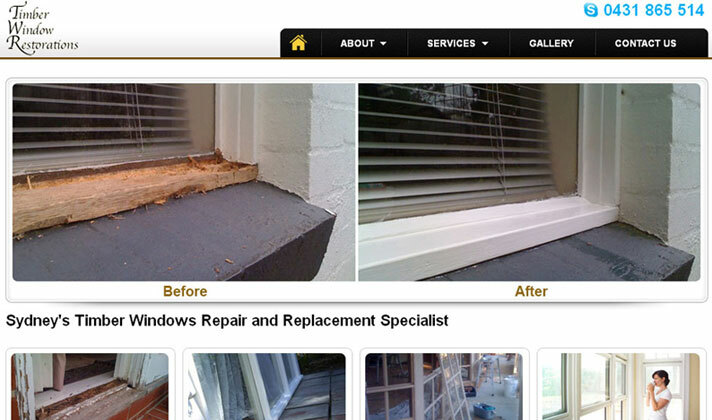 If you are also looking for installation, repair, maintenance or replacement of your wooden windows, then Timber Window Restorations is the best service to approach. As far as your plumbing, roofing and home maintenance needs are concerned, Solve All is the most renowned name you can trust upon. 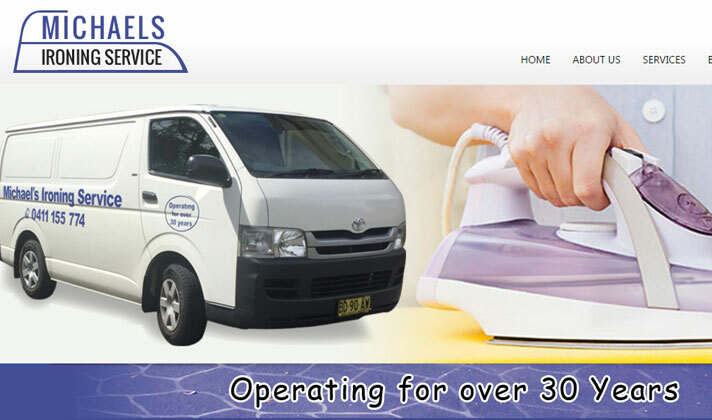 Their emergency service is available 24/7, and you can request for a free quote as well through their site. 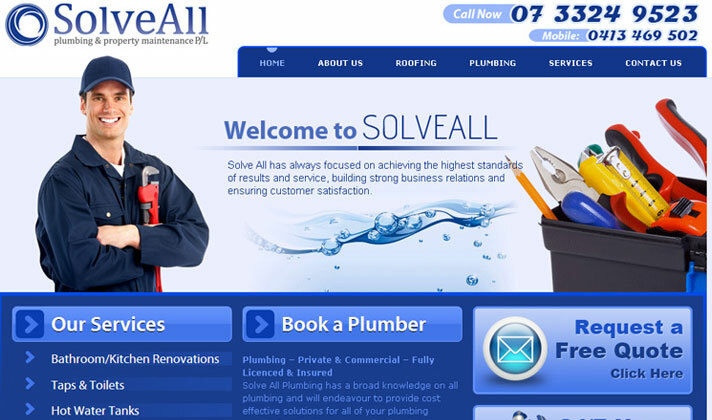 So, call these professional experts whenever you need plumbing repair or replacement service next time. 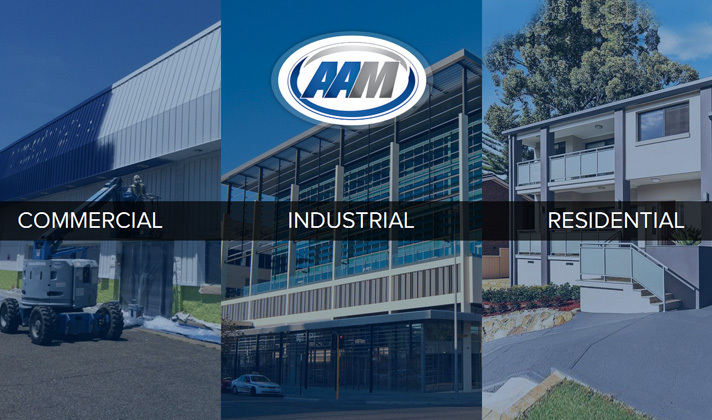 Interiors Exact Pty Ltd ABN 52 120 325 466 is a company whose directors have been involved in the building industry for more than 18 years. 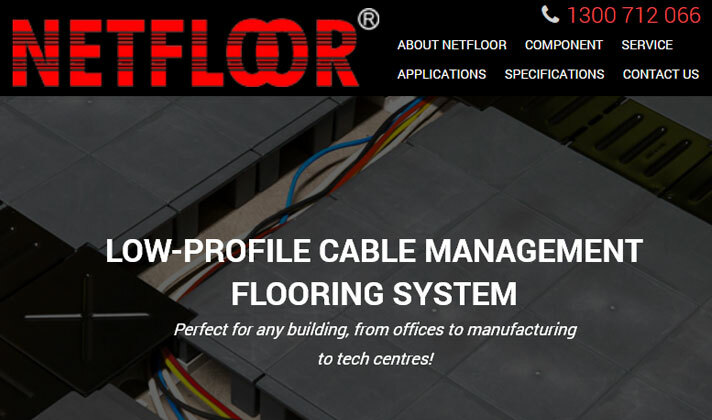 We focus on face to face customer service and would like to help you with any of your building works, building maintenance or office fit outs, second quotes or second opinions if you so require them.